Sorry, We will not be super active until 2027. 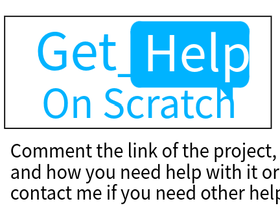 We help Scratchers in need. They deserve it! Let's Get 68000 Managers & 90000 Projects!!!!! Number engine and text engine studio! ADD your most popular project INVITE ALL! add anything everyone = manager!